In short, opening and closing credit accounts can have a negative effect on your credit score. Fortuantely, itâ€™s usually not all that harmful in the long run, as the effects are generally small and short-lived. Thus, if you donâ€™t expect to be applying for a loan in the near future, you can make a good bit of funny money at the expense of credit card issuers. Applying for a credit card triggers a “hard pull” of your credit report, which means that other credit issuers will be able to see that you’ve applied for credit. As one might expect, a flurry of heavy application activity can have a negative effect on your apparent credit-worthiness (and thus your credit score), as credit issuers might worry that you’re in financial trouble and trying to borrow your way out of a hole. The good news is that such effects typically wear off rather quickly (i.e., within months). Returning now to the length of your credit history, this only accounts for about 15% of your credit score. Also note that many business credit cards won’t show up on your personal credit report unless you default on your payments (this varies from issuer to issuer). 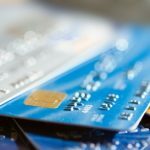 Assuming that you apply for a card that does show up on your personal credit report (all personal cards do, or at least should), a relatively minor hit to what is already a rather small component won’t usually have a major impact on your credit score. Just keep in mind that, in some cases, it can be enough to tip the scales from a just-good-enough credit score to one thatâ€™s no-so-good. But as long as you have good credit to start with, thereâ€™s probably not a lot to worry about here. As for credit utilization, higher % utilization (i.e., the percent of your available credit that is currently outstanding) does indeed reduce your credit score. In fact, the amount that you owe accounts for about 30% of your credit score. In this case, however, there is no real effect from before you apply for the cards to after you close them. The reason for this is that youâ€™ll still have the same credit lines with the same limits/balances (more or less) after youâ€™re done as you did before you started. And in the interim, youâ€™ll actually see a short-term benefit (at least in theory) by having more available credit without correspondingly higher balances while the additional card(s) is/are open. Once you cancel the cards, youâ€™ll return to the pre-application utilization level; hence, there will be no long-term effect. Contrast this with playing the 0% balance transfer game. If you apply for a bunch of 0% balance transfer credit cards and then (say) borrow against them to earn interest on the proceeds, your credit utilization will shoot up. Needless to say, this has the potential to reduce your credit score. Once you pay off the balances, however, your utilization will fall, your credit score will rebound, and all will be right in the world. But again, if you’re not actually making use of the new credit lines, there will be no negative effect on your credit utilization. So… There you have it… Credit card bonus chasing can have a negative effect on your credit score. Fortunately, it’s typically a rather small/shortlived effect. Of course, if you’re going to be applying for a loan in the near future, you’ll want to be careful, and should probably shy away from unnecessary applications. But if that’s not the case, you can make a decent amount of money by chasing credit card signup bonuses. After all, $100-$250 in bonuses for a single card application isn’t exactly chump change. Yes, you can. One card will show up on your report, the other will be on your spouse’s. How about writing about both husband and wife applying individually (wife not working). Can you double up the freebees like that ? I think the rule of thumb is to close the accounts after 6 months IF you don’t want them. Closing them before will cause a negative effect. I’d like to know which business cards are reported on your credit score. It affects the credit rating a lot. I used to get the credit card freebies a lot and then purchased my credit score to find that it affected my score significantly. it might be good for people with excellent credit score or for youngsters who will not apply for a loan in near future.